Real Madrid have started the season better than the previous one, registering 3 wins from 3 matches played. However, the coach has not yet set his eyes on a single formation, as Julen has tried different formations until now. Real Madrid have scored eight goals in just 3 games, conceding two. They look pretty much better and balanced compared to their rivals, though the Bernabeu outfit had an unconvincing transfer market. 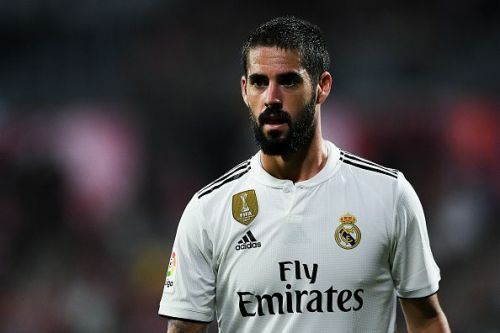 Julen Loptegui has tried two different formations in all three of their games, waiting to find the right formation for the Los Blancos, so I thought I might be of some help for the Spaniard. The 4-4-2 system will consist of Benzema and Bale as strikers. They share a good relationship on and off the pitch and that reflects in their game. 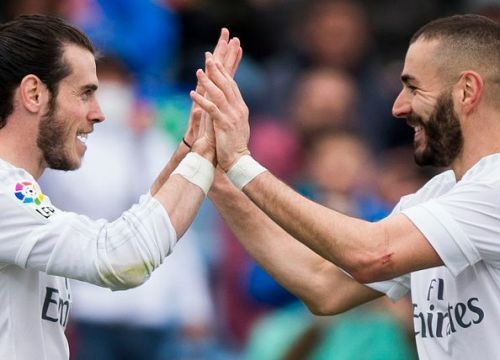 Their understanding has been vital for The Whites and Benzema looks more confident than ever when playing alongside Bale. With Benzema and Bale playing as strikers up front, the players defending against them will have a back-breaking time. Though Benzema would prefer a more central role, and attacking partnership with Bale will certainly help him as he won't get isolated. The midfield four will probably consist of Isco, Casemiro, Kroos and Modric. However, Bale will have less space to work with and his speed won't come handy for the Bernabeu outfit. The likes of Modric and Kroos will feed them with balls, and Bale will have a specific role, which will be to finish.